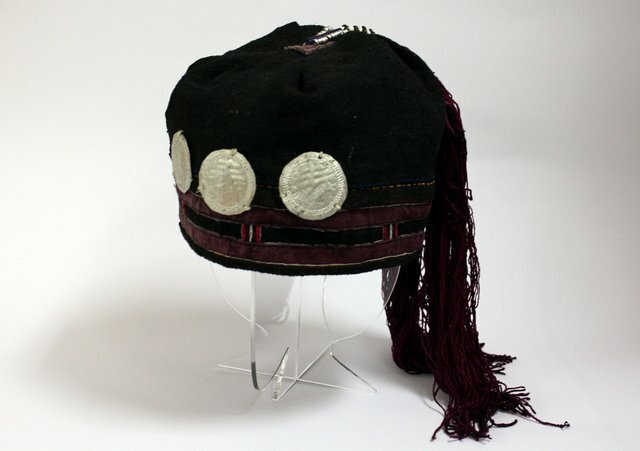 This unusual cap found on flea market in Hanoi belongs to the so-called "Coin Dao”(Dao Tien), which is one of the tribes of the Dao or Yao people living in the north of Vietnam. They where so named because they love to decorate their garments with coins and other similarly looking metal ornaments. The round pewter plates sewn onto the hat bear Dao characters similar to Chinese hieroglyphs. 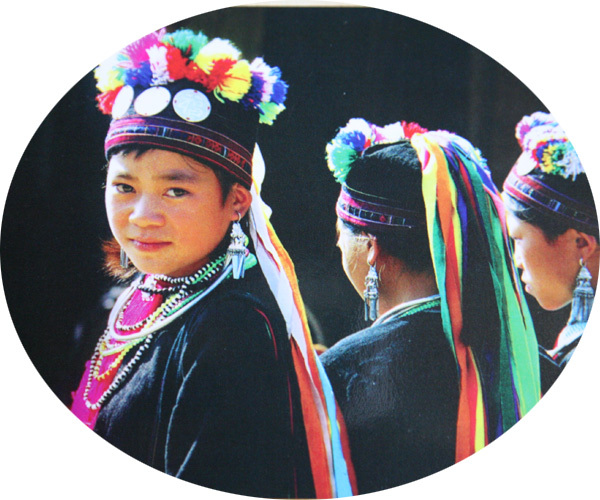 The special Coin Dao colors - black and dark purple are preserved.